Description: Benefit for Haiti here complete with free mix CDs or copies of Big Up Magazine at the door. All proceeds go to Doctors Without Borders. 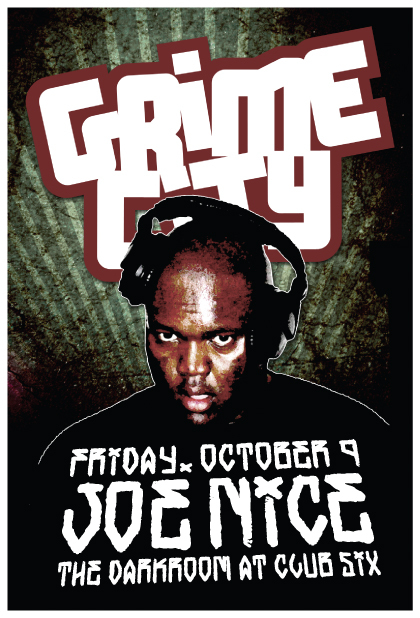 Joe Nice is huge, this is definitely a good opportunity to catch him live with big support from the SF crew. 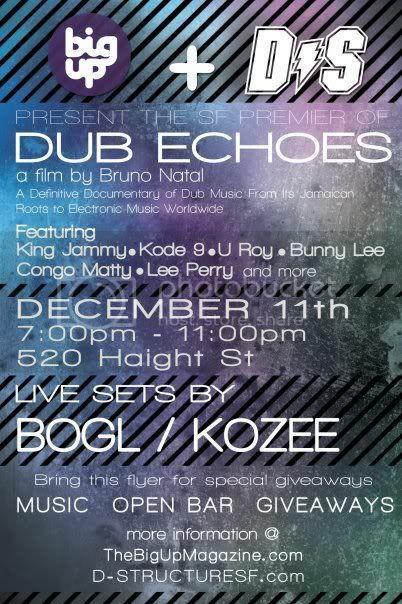 Description: Screening this night of the Dub Echoes documentary detailing the origins of Dub music and its current incarnations. Interviews with Kode9 and many superstar dub producers. 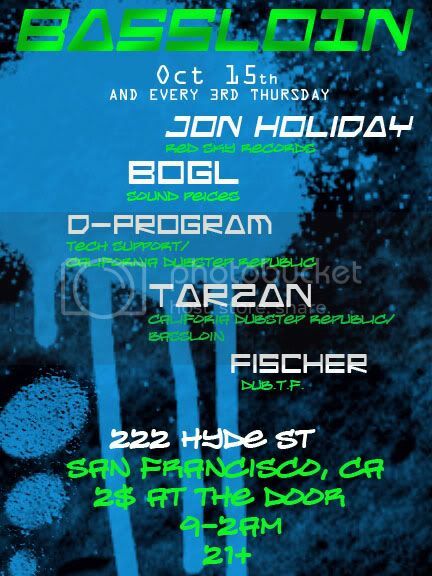 Description: Big new weekly featuring SF DJs plus guests. No cover, cheap drinks, win. Description: Badman Joker comes all the way from Bristol to paint SF purple with vocal support from Nomad. 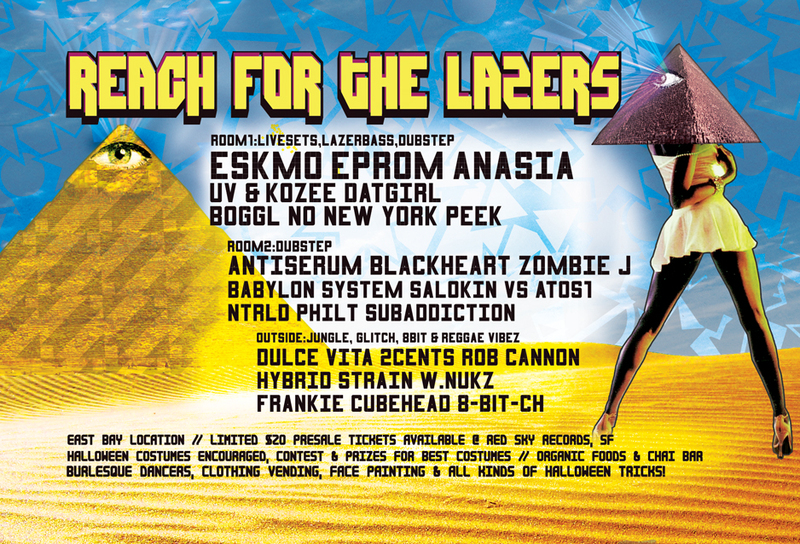 Local support from Lando Kal of Lazer Sword and many more. Tickets: $15 here, $20 door. 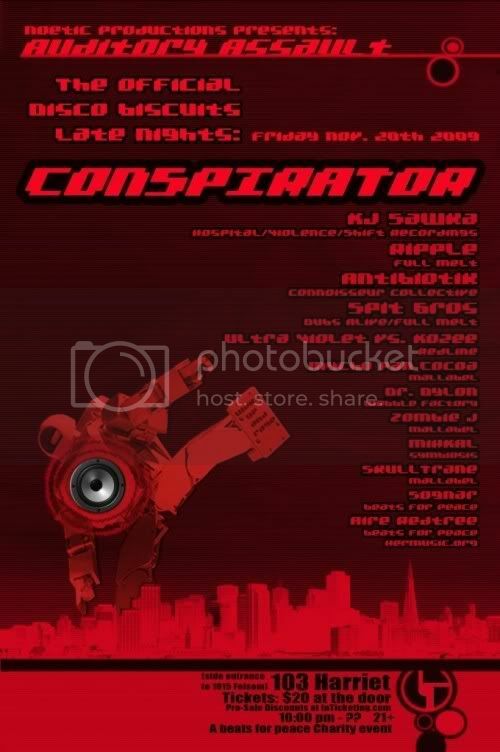 Location: 1015 Folsom (map & info) on the 20th, Mission Rock Cafe (map & info) on the 21st. Description: Gaaaah!!! The official disco biscuits late nights. Mental two night back to back event here from MalLabel with all sorts of musicians involved. KJ Sawka is a live Jungle/DNB/Dubstep drummer… mental!!!! 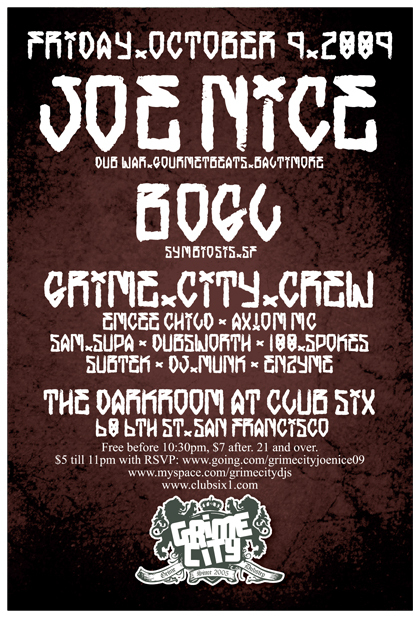 Description: Get ready to bow your heads to the roughest styles of electronic music at the most classic venue in San Francisco!!! PLUS Cruz’s Party Tour Bus! 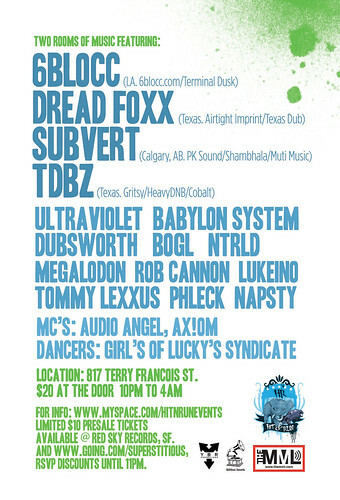 PLUS a fatty Live Art Production! Gonna be serious with two separate rooms of music. 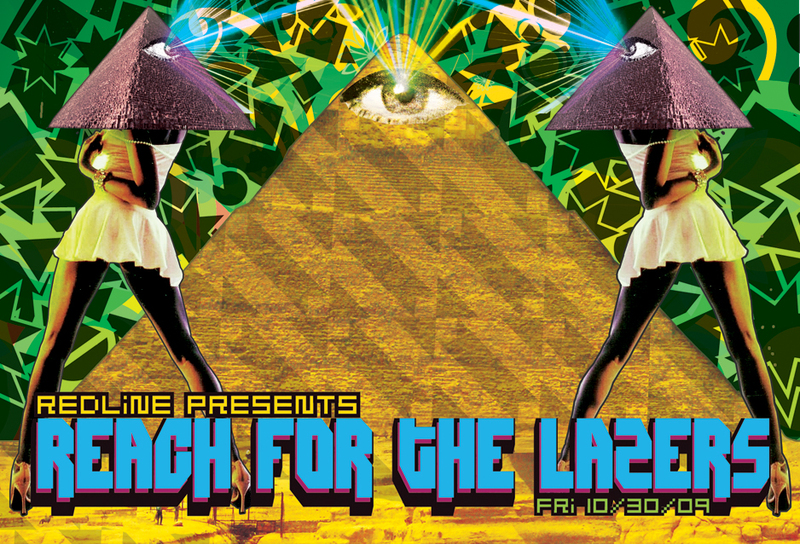 Description: Another huge lineup from the Redline crew with headliners for days and the night before halloween. Description: The tenderloin gets rocked with this new monthly on the 3rd Thursday of the month. Big local lineup on this one.